It was one year ago, this past July 10th, when Gina private facebook messaged me. I remembered bubbly and full-of-life Gina from previous years of volunteer work Jamie and I did once a year at her place of work at Shelter of Flint. We became facebook friends simply to stay in touch for the annual Shelter of Flint back pack event. I remember often smiling at her posts on my news feed each week, barely knowing her, as she shared pictures of her handsome little toe-headed elementary aged boy and her three beautiful teenage blonde daughter's. She was a proud mama, that I knew about Gina. You see, one year prior to this message from Gina, what I thought began as a simple blog of words God was giving me, posted on FB, led Gina my way; or should I say, led me to Gina. The first text back to Gina involved praying over her sick body; praying for God to intervene radically. All the while, God heavily implanting the visual of an anchor on my heart as we prayed, sharing with her that God is her anchor. Her hope. Her immovable steadfast and secured hand in this current horrible and awful physical storm. We remained in prayer and weekly dialogue for months; gifting me with one of the greatest honors of my life of witnessing her fall in love with God. As she lost her hair, she gained a love. She began posting, along with her continued sweet pics of her precious children, scripture verses. Sermon teachings. Inspiring Holy Spirit infused messages, never sharing a word publicly about her illness; all while suffering with multiple stage 4 brain tumors and exhausting radiation and chemotherapy treatments. Her posts were now feeding my own soul. Gina would often leave a simple text in the middle of my day or on one of my blogs of one single anchor emoji. We both knew, without having to say a word, what it meant. What began for Gina as a search for a miracle, soon turned into a love relationship with the One in which her heart had longed for. But what God began to gently orchestrate was beyond my greatest imagination; He began to use Gina as a witness to me. Her new found anchored faith, her new contagious Godly love, her new boldness to share Him with others demanded my attention to examine my own flame resistant faith. My own cowardly evangilistic heart. My own stagnant walk. 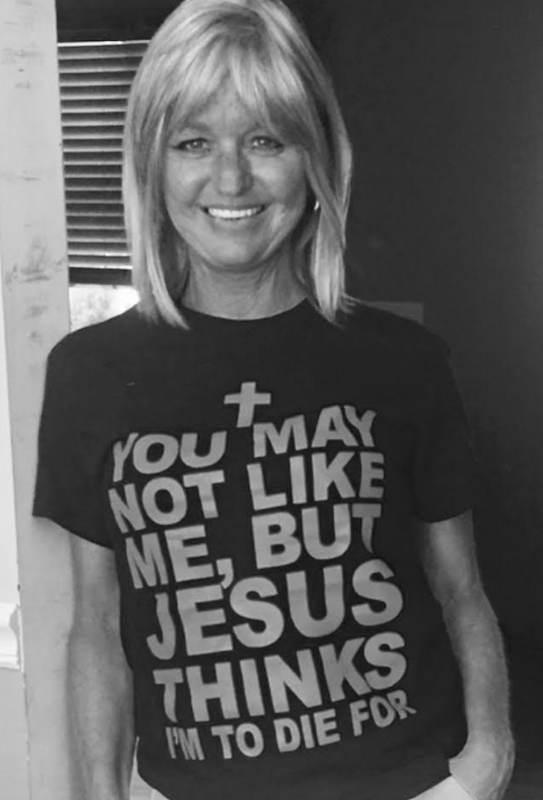 Gina would proudly send me pics, as this one shown, with her confidently worn Jesus shirt, as she joyfully displayed the One who loved her completely. Not once did I receive a call or text from Gina that wasn't fully coated, completely saturated, thoroughly immersed in hope. She poured her contagious encouragement over me each time we spoke, in spite of her own current storm. Which is why when I pulled into my driveway yesterday afternoon to receive the news she had past away just hours before, the shock overtook every fiber in my being. It just couldn't be. No, I screamed! I sat on the back chair of the outside deck and simply wept. Uncontrollably. I was caught between shock, denial, confusion and bullet-penetrating guilt, all balled into one. Her sweet little toe-headed boy and those precious well-loved girls continually filling every corner of my thoughts. It just couldn't be. But it was. And it is. I walked around last night in a state of daze, eventually falling asleep and being divinely supplied with a dream. In this dream I was at Gina's funeral, surrounded by multitudes of those her contagious smile and bubbly heart had delicately touched over her short 49 years of life. Yet, in this dream, Gina was there. I saw her and ran up to her and asked "Why Gina?" Why didn't our prayers of saving your life work? Why didn't God save your life?" I demanded. She looked compassionately and piercingly into my eyes with her beautiful smile and said "Oh, He did save my life, Joy. He did." I woke with tears this morning streaming down my face, with my heart repeating "Yes, He did." This morning, while spending time with God, I began to share my desire with Him for something tangible that would be in memory of Gina. Something I could see each day and/or share the legacy of her sweet spirit with others. 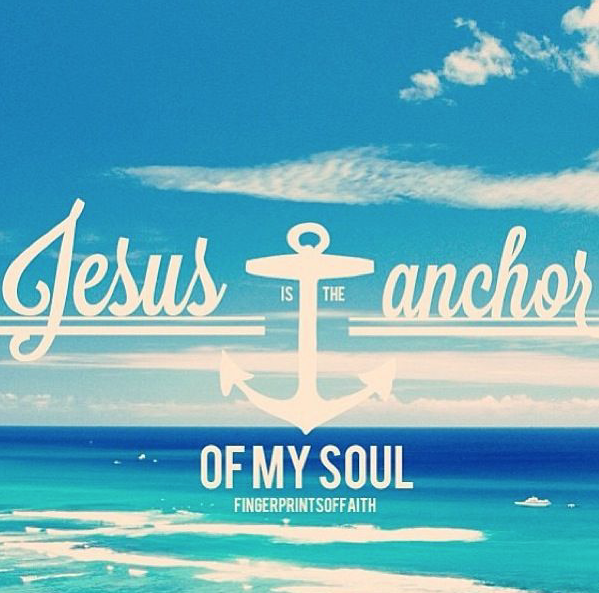 Immediately, He imprinted a clear visual of an anchor on my heart. An anchor which comforted her. An anchor which ministered to her. An anchor which is holding her at this very moment. So, as God often does, within the hour, He supplied. A dear friend arrived to my home with a bag this morning. Not yet knowing anything regarding Gina's death, or even who Gina was, she says with an aloof sort of response "It's no big deal Joy. I happened to have seen it in the store the other day and something made me want to buy it for you." As I placed my hand in the stiff crisp tissue paper, I recognized a shape which I was familiar with. An anchor. A wood anchor. 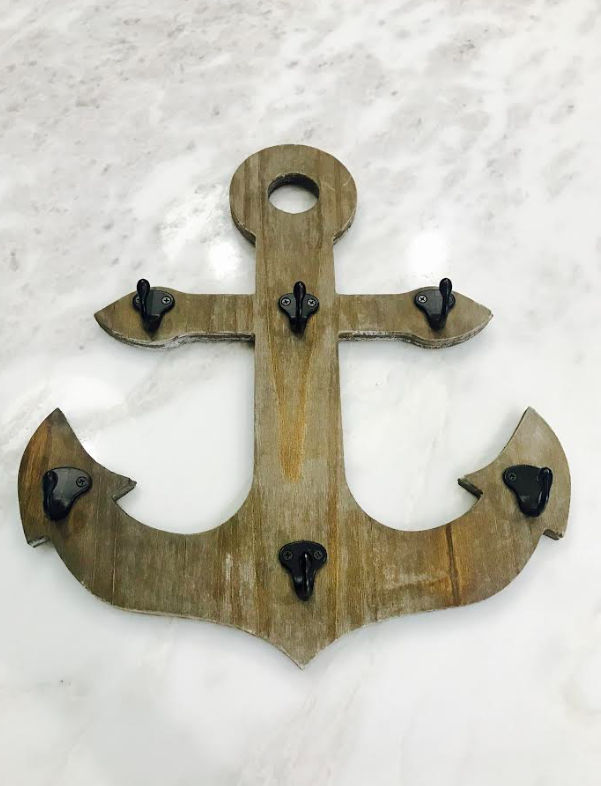 A plaque anchor for the wall. The very anchor God impressed on my heart just an hour before as a tangible reminder of the gift of Gina in my life. You see, what I didn't share, is that I hadn't spoken to Gina in over two months. I prayed for her, I thought of her, I assumed all was well, yet lost touch due to believing a strategically placed lie from the enemy that I potentially could be a grim reminder that she was once sick. Gina often reached out with her weekly praise updates; so when the texts stopped in June, I presumed it meant she was getting back to her every day, healthy, cancer-free, loving-Jesus life. The lie convincingly and repetitively whispered in my mind that I'd only be a bother and a reminder of the season in which she was once sick. When in reality, it most likely was when she needed me most. I'm now left with an active wrestling match of both conviction and regret within the core of the heart. It's deep and it's penetratingly painful. Yet, God wastes nothing. This I do know. My question I'm posing to both you and myself-- have you lost touch with someone you love? Someone who misses you, cherishes you? One which you least expected God to use to fuel you, to inspire you, to encourage you, to motivate you? All while being refined, strengthened and equipped for a destination much greater than what we can see, know or comprehend on this side of heaven? Or, are you a Gina? One who vigorously fights the good fight while tightly clinging to the secured and immovable anchor of your soul. Encouraging the frail, motivating the weak, inspiring the timed, even amongst your own relentless fear and the unknown outcome of your personal and intimately God-designed story? Wether you're a Gina or you have a Gina in your life, God is using you dear one. This life is fleeting and each day is a treasured gift; a gift to be lived and used for a destination and purpose much greater than the here and the now. Thank you Gina. I am a better person because of knowing you. Because of loving you. 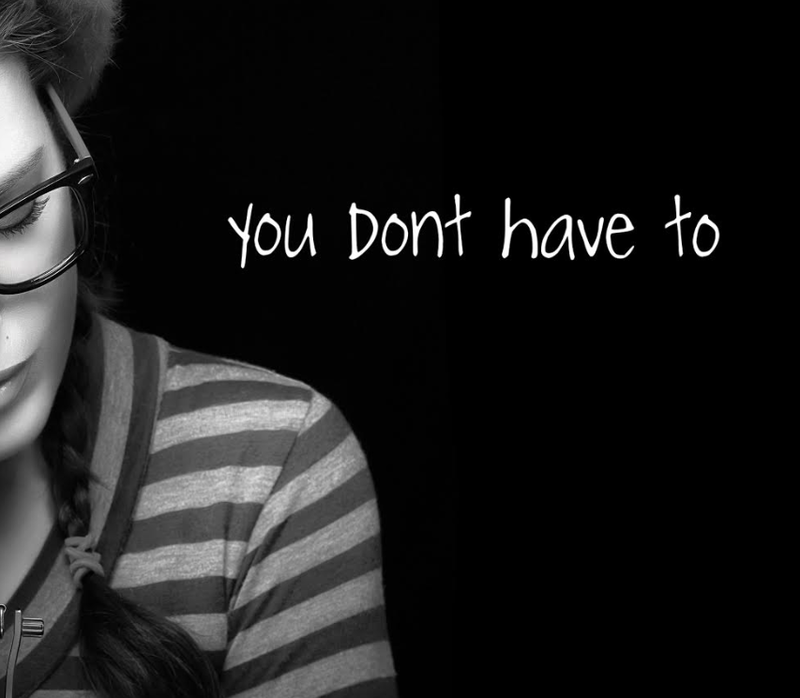 Because of watching you. See you on the other side beautiful friend.